​​Dr. Burton Schechter is a graduate of the New York University School of Dentistry. He completed a surgical internship at Mt. Sinai Hospital and a post-doctoral program in prosthetic dentistry at N.Y.U. 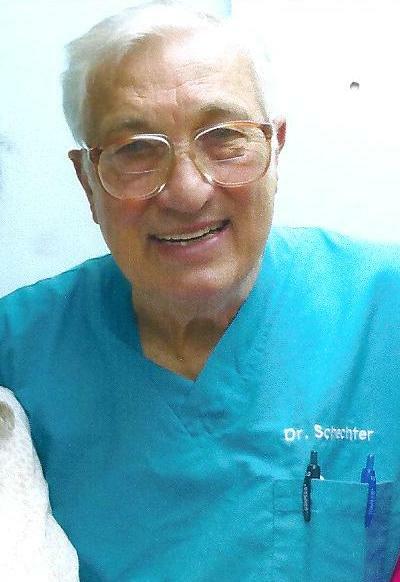 Dr. Schechter taught dentistry on the N.Y.U. faculty as well as at major NYC hospitals and has published in numerous professional journals. He is currently teaching restorative dentistry and implants at the Department of Dental Medicine of Metropolitan Hospital. It's a profession I truly love - one from which I'll probably never truly retire from. But as wonderful as my life in dentistry has been, I came to it for the wrong reason. As a kid growing up in the Bronx, my friends and I lived and died with the New York Yankees and the Bronx Bombers. We argued endlessly over who was better - Joe DiMaggio or Ted Williams. It was a passion. In my teenage years, I found a dentist on Grand Concourse who I really liked. First and foremost, he didn't hurt you. Secondly, he genuinely liked people and worked with his hands. Lastly but certainly not least, he listened to the Yankee games on the radio (as baseball was played only during afternoon daylight hours). THIS WAS FOR ME. From the time I was 15 years old, dentistry had become my dream. Rushing through college in 3 years my dream was achieved with an acceptance to the NYU College of Dentistry. At last, I was going to the promise land. Years later after becoming a dentist, a husband and a father, my interest in baseball seemed to wane. Also, games began to be played at night, no longer during the day. Even treating the president, vice president and many of the Yankee executives didn't rekindle my interest. Now, the only time I listen to a baseball game on the radio is when I cant fall asleep. Classical music (which my wife loves) keeps me up in bed - baseball puts me to sleep. So, it all ended up gloriously but for the wrong reason. We're open Monday & Wednesday from 7:00 am-4:00 pm.